The thing I love most about this time of the year is the flavor of fresh-picked tomatoes. Growing up in the south, I ate a lot of tomato sandwiches growing up. I still eat quite a few now too, only I make them with Just Mayo and whole grain bread. 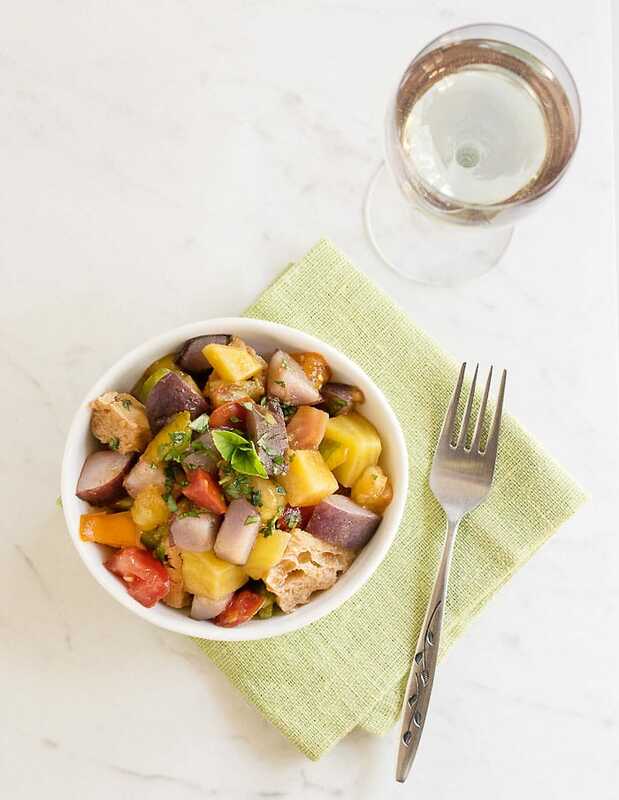 The recipe I’m sharing with you today for Instant Pot Rainbow Panzanella Salad, gives you all that summer tomato flavor and makes it a hearty meal too. This is another post in my series of recipes sponsored by the Idaho Potato Commission. You can never have too many recipes for potatoes and this one makes an easy and delicious summer dinner. I’d recommend that you bring this to any 4th of July parties you’re going to this weekend! I’ve made my Panzanella salad hearty by adding potatoes and beets. I love how well their textures go with the juicy tomatoes and toasted bread. I have to mention how the bread soaks up all the flavors. You can make this gluten-free by using gluten-free bread. 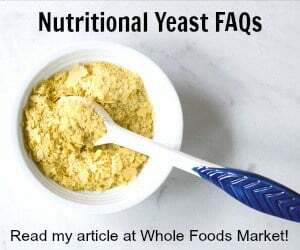 I haven’t made the dressing oil-free yet, but you could try substituting vegetable broth alone or vegetable broth with a little aquafaba mixed in. 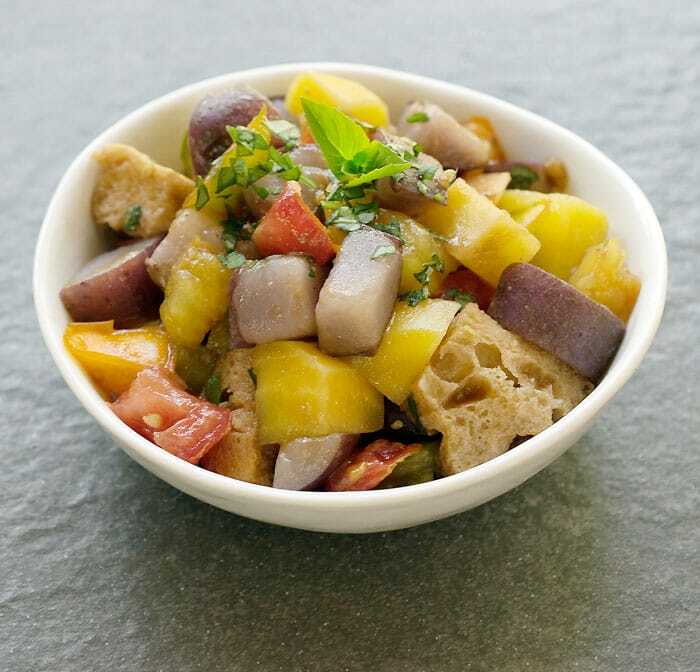 Traditional Panzanella salad is full of juicy, fresh tomatoes, and stale or toasted bread that soaks up all the delicious dressing. 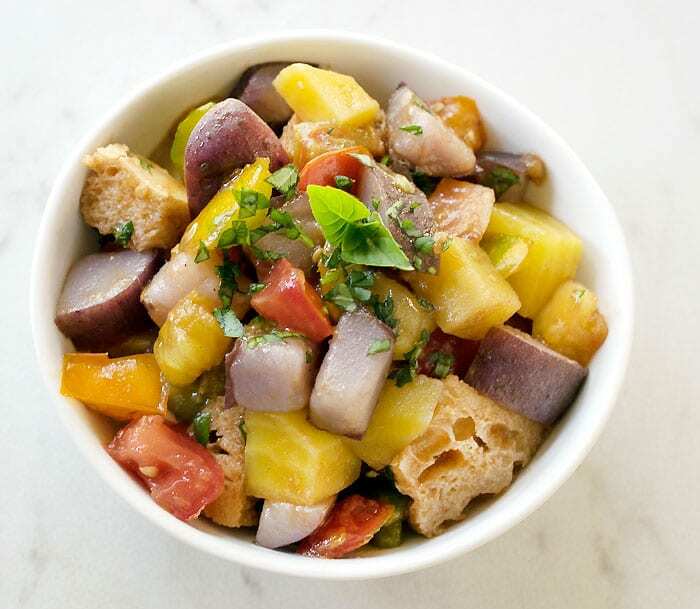 This recipe has a healthy twist that turns it into a perfect summer meal - Idaho® Potatoes and beets, my two favorite root veggies. Manually release the pressure and remove the lid. Pour the Instant Pot ingredients into a colander and rinse with cold water to stop the cooking. Set aside. In a large mixing bowl add the potatoes, beets, tomatoes and the dressing then mix well. minutes before serving mix in the stale or toasted bread so that it can soak up some of the dressing. If you are not planning on eating it all in one meal, only mix together what you will eat, store the bread in an air-tight bag separate from the tomato mixture that you will store in the fridge. Note: If you don’t have an Instant Pot, you can still make this delicious salad. Just cook the potatoes and beets in a pot on your stove over medium heat until they are easily pierced with a fork. Then start on step 3 above. « A Vegan Instant Pot Menu Plan That Will Make Your Week Easy! I love the addition of root vegetables to this salad! Makes it a more rounded meal and perfect for when tomatoes are not at the finest.